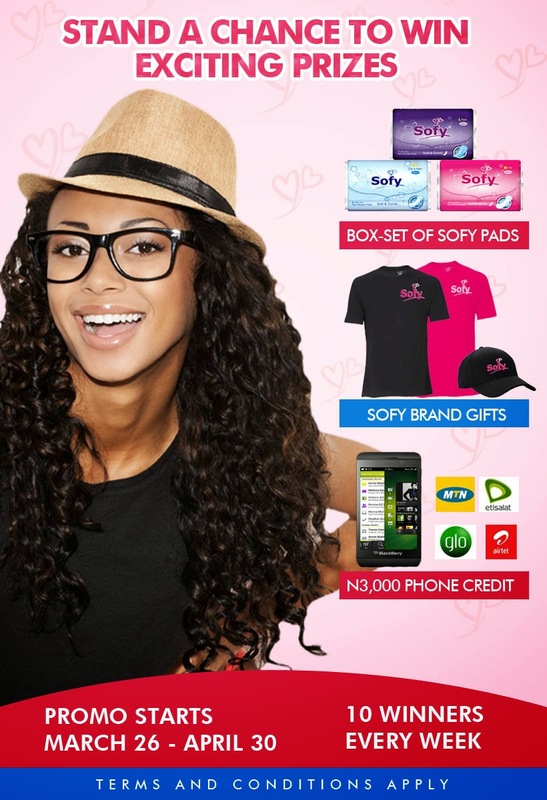 SOFY NIGERIA 50,000 FANS PROMO. As a gesture of our appreciation, our esteemed fans will get to win exciting prizes to mark this milestone of attaining 50,000 Facebook fans. Share and invite your friends. Entry is free for all ladies 18 and above. 10 winners everyweek for 5 weeks will be picked. Prize includes Sofy sets, promo items and N3,000 mobile phone credit to network of your choice.